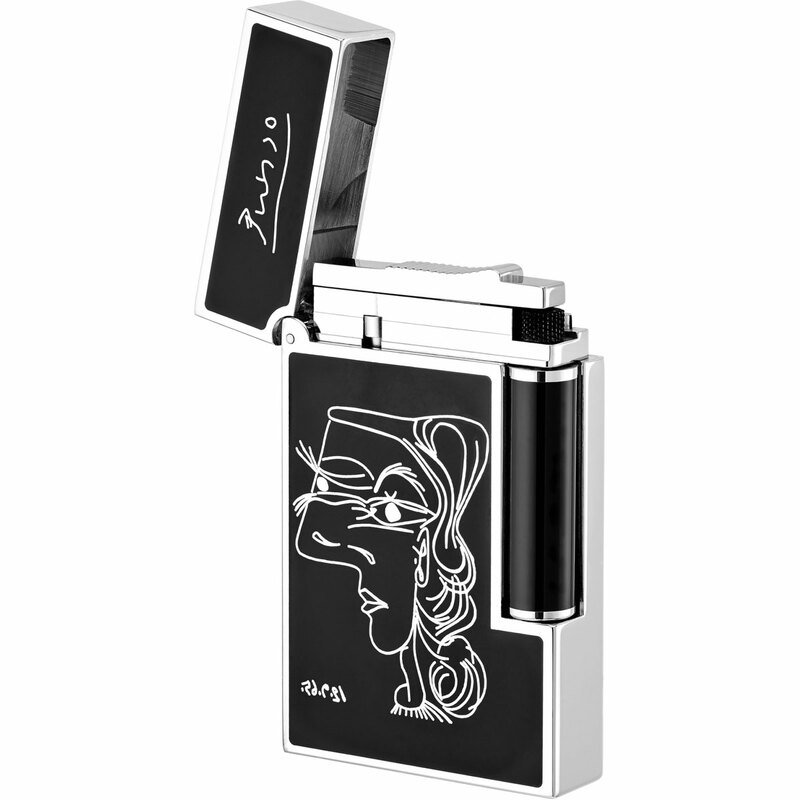 ST Dupont Pablo Picasso Lighter handmade in black natural lacquer and palladium finish. 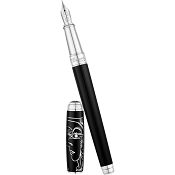 Handmade Ligne 2 lighter with black Natural Lacquer + the Picasso design and Picasso signature engraved in silver. Palladium finishing. S.T. Dupont logo engraved. 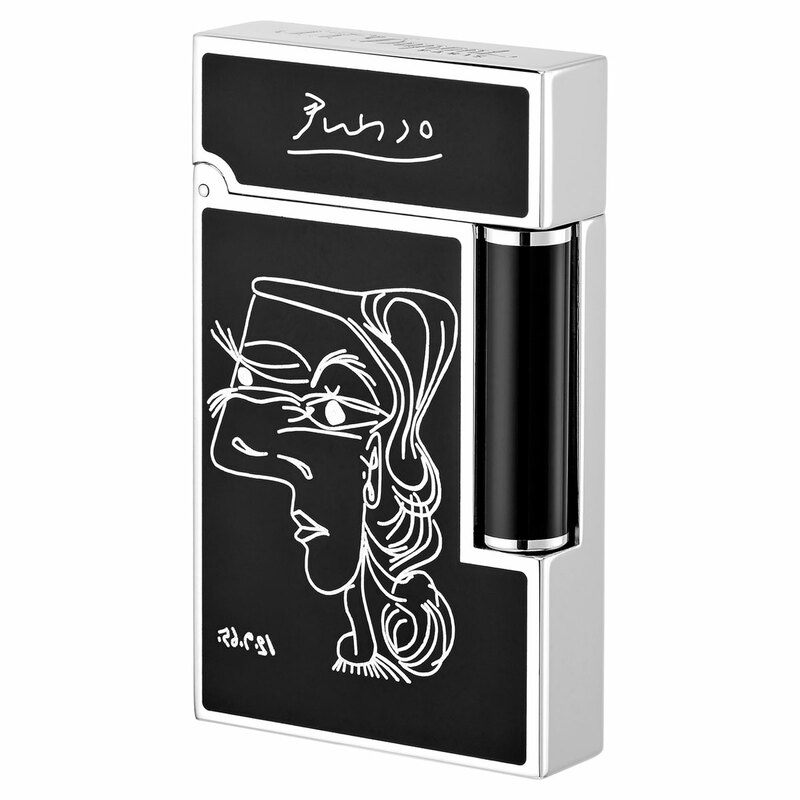 The lighter adds a twist to Picasso's artwork: his line drawing appears on a black background, etched into the natural lacquer work of the Ligne 2's side panels. Surrounding the panels are palladium details. 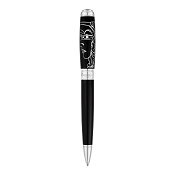 This unique limited edition is a tribute to one of Pablo Picasso's favorite line drawings - Profil de femme from the year 1965. The delicate lines expressing the duality of a feminine character is gently placed by Maison S.T. 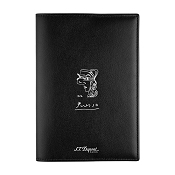 Dupont on the natural black lacquer.